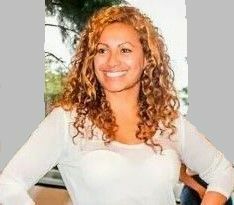 My name is Miriam Ratu, better known as Miri, face & author behind ‘Beyond the Pacific‘. Beyond the Pacific is an info blog, with the sole purpose of sharing ideas on business, law and humanity on a serious note. Travel, love, fashion and lifestyle on a lighter note. There’s also poetry of the ups and downs of life. We’ve also launched our own podcasting channel on SoundCloud with the aim of celebrating greatness & the entrepreneurial spirit in our Pasifika community, whilst empowering our fellow men & women. Thank you for stopping by, I hope you’ll stay a while! “Beyond the Pacific” – a smart and savvy space sharing ideas one blog at a time. Hi, I really like your page and love the colours. Hope to see more blogs soon.